Present state: Demolished, a block of flats stands on the site of the station. The Midland Road bridge has been filled in but the north parapet survives overlooking the trackbed which survives as a footpath and cycleway from here to Harpenden. Hemel Hempsted station was built against a bank, opposite the Midland Hotel. It had a single platform with a brick and weatherboarded building with a tiled roof. The station building incorporated a booking office and waiting room. There was a passing loop but never a second platform. siding for manure traffic were added in 1899 as business continued to improve in addition to the two sidings serving the goods depot. The goods yard had a 1 ton 10 cwt. tail mounted crane. In 1913 the platform was raised to 2' 6" above rail level. A new and longer open goods shelter with a corrugated iron roof replaced the earlier wooden shed. 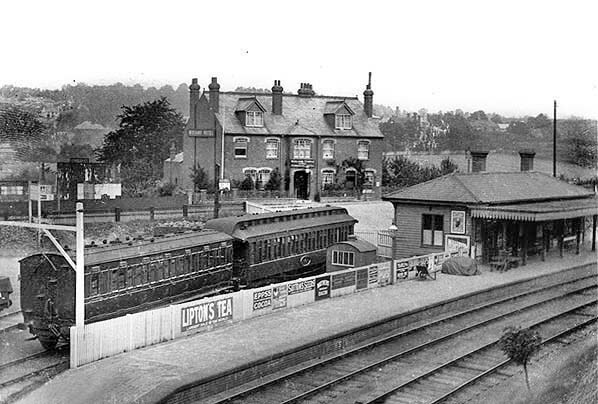 One goods clerk was employed at the station whose sole responsibility was to collect the signal line tablet which had been collected by the train as is passed the signalbox at Harpenden. Hemel Hempsted station had no water tower or column with water being supplied from a manhole on the platform. North of the station there was a raking area for ashes. After closure to passenger traffic in 1947 the goods depot, now known as Midland Road remained open until 1st July 1963 although by that date there had been no traffic for some time. A private siding in the yard remained in use after closure. The track was lifted and the station demolished in c.1969 and eventually a block of flats was built on the site. Chiltern Green (on the GNR main line) with a journey time of 40 minutes; there was also an evening goods train. It provided a link for the straw plait trade that existed in Hemel Hempstead with the hat making centre of Luton and this is reflected in the fact that the initial connection at Harpenden headed north towards Luton rather than south towards London. Passengers travelling to St. Albans and London changed trains at Chiltern Green. connection to St. Pancras and one through train to St. Albans. The 9am train from St. Pancras 'slipped' a coach at Harpenden to run onto the branch. before nationalisation on 16th June 1947, when there was a 'temporary' suspension of services due to the national coal shortage. When coal was once again available the service was never reinstated. The last passenger trains, after closure, were three enthusiasts’ specials. 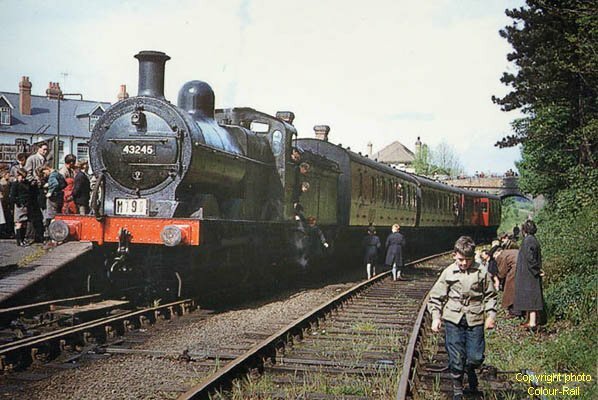 The Railway Correspondence & Travel Society (RCTS) organised two trips to Heath Park Halt on 11th May 1957 and 10th August 1958 and the South Beds Loco Club organised an excursion between Harpenden and Hemel Hempsted on 24th September 1960. The line remained open for goods traffic with two daily trains and in 1948 a permanent connection was finally laid at Boxmoor to bring coal to the gas works but it was rarely used until August 1959 when work started to remove the embankment between Hemel Hempstead and Boxmoor during redevelopment of the town centre as part of the town's expansion programme. A large crowd assembled at midnight on 6th July 1960 to see the viaduct being blown up. The link line was now the only way of bringing in coal into the gasworks at Duckhall but the gasworks closed in 1960. 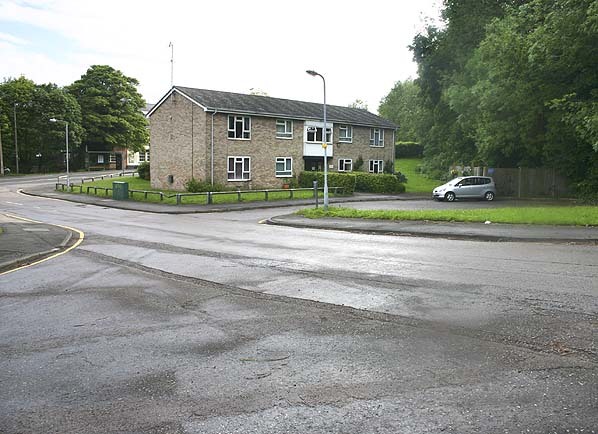 Hemel Hempsted remained open as Midland Road for freight traffic until 1st July 1963 although by that date there had been no traffic for some time. Redbourn remained open for a further year closing on 6th July 1964. Hemelite. 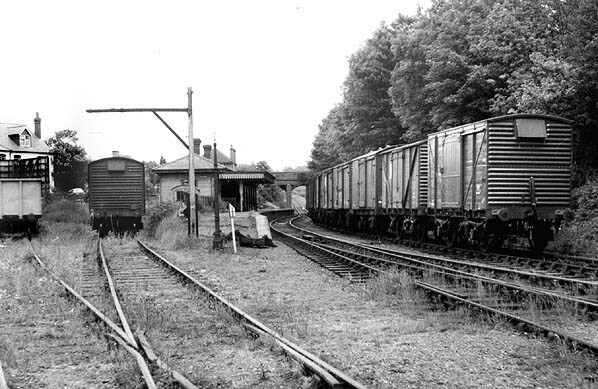 New reception sidings were laid and from late 1959 six wagons of aggregate arrived each day. In the early 1960's the line came under the threat of the Beeching Axe and it was eventually sold to the Hemelite company after parliamentary approval was received; the company taking control on 30th April 1968. It was the first BR line to be taken over by a private company. 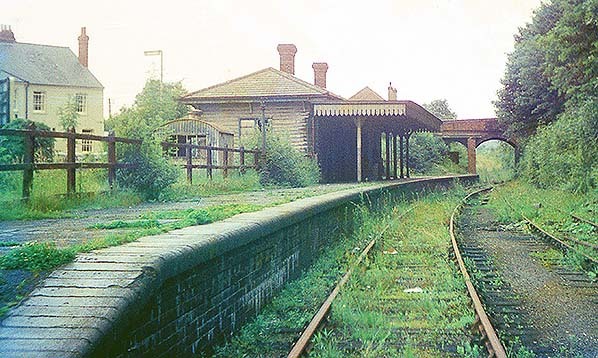 The reprieve was to be short lived however and the end came on 24th July 1979 when BR removed the junction as part of upgrading the Bedford line though Harpenden. BR wanted to charge Hemelite a large sum of money to replace the access points just north of Harpenden Station. The cost was too much for the company to afford as they were struggling through a recession so they lost access to their line with deliveries continuing by road. The remaining track was lifted in 1982. Throughout its life the line was known as the ‘Nickey (or Nicky) Line'. The origin of this name is shrouded in obscurity. Suggestions range from being named for the parish of St. Nicholas in Harpenden, through which it runs, to Hemel's connection with Nicholas Breakspear. The locomotives themselves were referred to as 'Puffing Annies' by locals, as the climb from the town centre up through Highfield was steep and the engines created much steam and smoke ascending this grade. Other web sites: Friends of the Nickey Line footpath and cycleway. Includes history of the line and maps of the current footpath. The Nickey Line - The Harpenden to Hemel Hempstead Railway. Web site with history of the line and pictures. Plus details of how to obtain the Nickey Line DVD. Nickey Line - a video tour of the Nickey line today lasting over 1 hour. Lost lines - Photographic tour of the Nickey line in 1990. To see other stations on the Harpenden to Hemel Hempsted Railway click on the station name: Heath Park Halt, Godwin's Halt, Beaumont's Halt, Redbourn, Roundwood Halt & Harpenden. 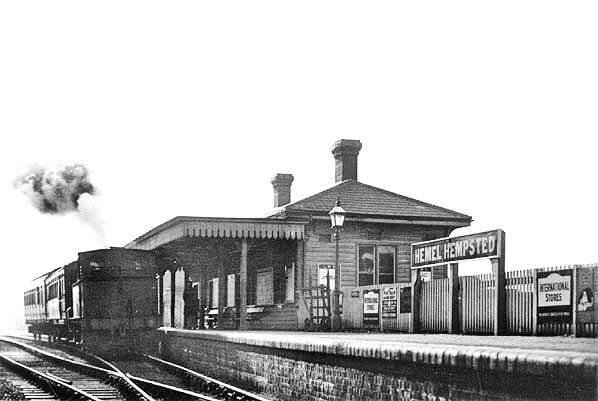 Hemel Hempsted station c. first decade of the 20th century. 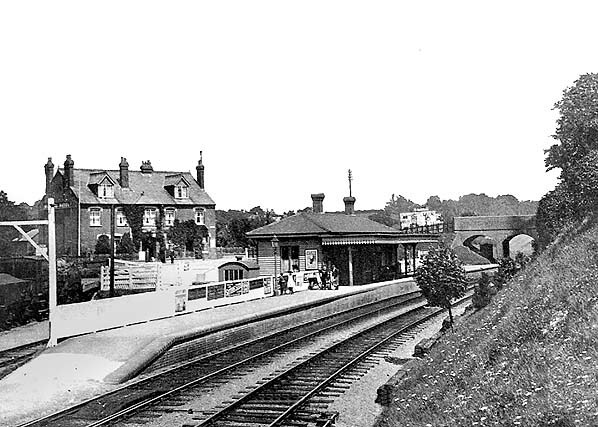 Hemel Hempsted Station looking south in August 1920. The short lived engine shed is seen in the background on the right. 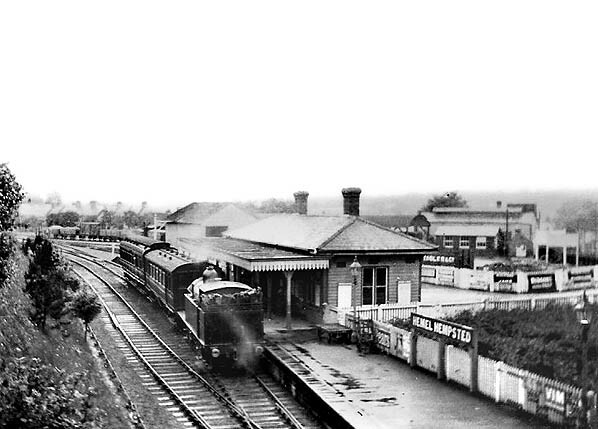 Hemel Hempsted station looking north-east in July 1963. 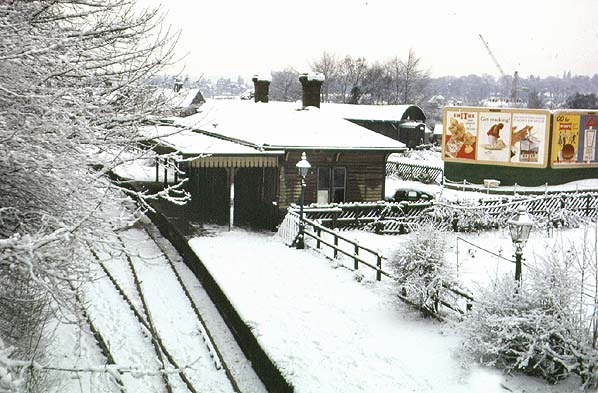 Hemel Hempsted station looking south in February 1969, shortly before track lifting and demolition. 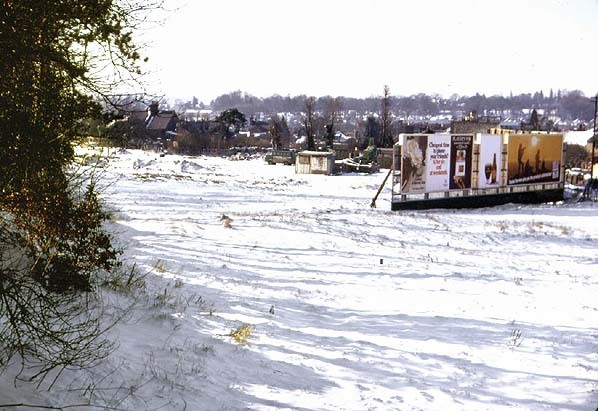 The site of Hemel Hempsted station looking south in c.1970. Note the advertising hoarding has been straightened across the station approach road. viewpoint to the 1950's picture above.